Over the years, Miami has become a hub for gay life and culture in Florida. After the legalization of gay marriage in 2015, the LGBT community in Miami has flourished and can be seen through the countless bars, events, and clubs found the city. Atton Brickell Miami is proud to be among the premier gay-friendly hotels in Miami and offers modern accommodations in its bustling downtown neighborhood, Brickell. Guests will enjoy our rooftop bar and pool as well as our location near top gay clubs and bars in Miami. Each spring, visitors from all over flock to join the annual celebration of equality known as Pride. The 2018 Pride Week celebration will take place from April 6 – 8 and feature a selection of events ranging from ticketed performances to free community events. 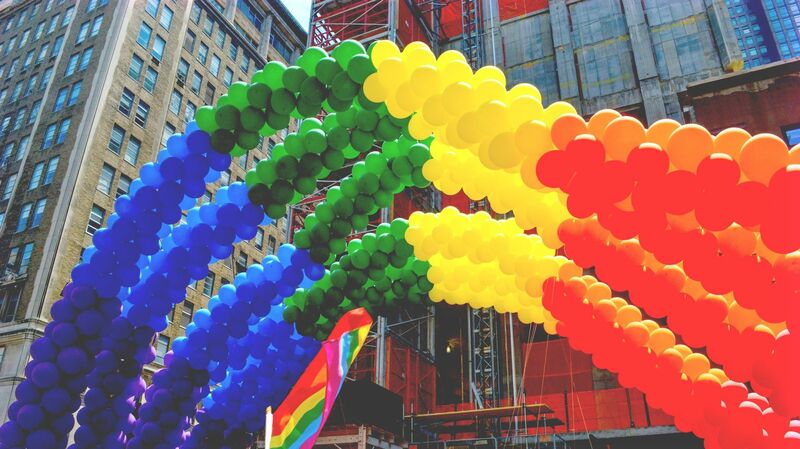 View our guide below to see some of our favorite 2018 Pride events. Touted as the largest women's week celebration in the country, Aqua Girl is a popular annual fundraiser benefiting South Florida's LGBT community. All proceeds from Aqua Girl benefit the Aqua Foundation for Women, a not-for-profit organization that funds lesbian, bisexual, and transgender wellness and equality in South Florida through grants, scholarships, and initiatives. Get more information here. Celebrate ORGULLO continues to showcase quality events, artists, performances & programming to Miami’s first Hispanic LGBT Pride festival. For 2018, we are honoring the life the Queen of Salsa – CELIA CRUZ, through Art, Music, Dance, Photography, Film and Spoken Word. For a calendar of events, visit the festival website. White Party Week is an unparalleled week of fundraising parties and events throughout Miami and Miami Beach, culminating with the legendary White Party evening event. More than 15,000 party-goers enjoy six days and nights of nonstop entertainment in the fight against HIV/AIDS. This week-long series of events include Miami’s best venues and hot spots, incredible sponsors, internationally renowned DJs and entertainers, celebrity appearances and the hottest of white-hot parties. Learn More.